One stop solution of coating thickness measurement instruments, material analysis instruments, material testing equipments, etc. for boosting business performances! From humble beginnings in the year 1953, Helmut Fischer Group has evolved to a leading corporation with unmatched businesses that span modern technology, coating thickness measurement, precise material analysis (including karat analysis of gold, silver and other precious metals), microhardness, material testing (electrical conductivity, ferite content, anodic sealing and porosity measurement), etc. With discoveries, innovations and breakthrough range of products, we have been constantly pushing the Group forward to the zenith of success. Cutting edge technologies and 60 years of skills have helped the Group to provide optimal solutions for any projects. Today, the Group manages 18 Fischer subsidiaries with 32 well equipped sales offices in major industrialized countries. 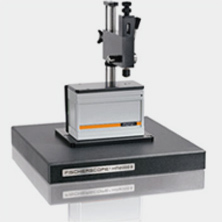 Fischer Measurement Technologies (India) Pvt. 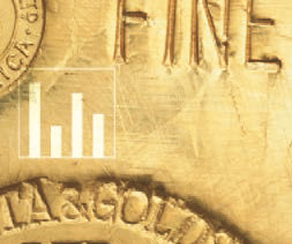 Ltd. is devoted to create superior products like Gold Testing Machine, Fischer Microhardness Tester & Fischer Instruments with high technologies to enhance the productivity of businesses. We are an ISO 9001 certified company with 100% subsidiary of Helmut Fischer Holding AG, Switzerland. Established in April 2006 in India with fully fledged H.O at Pune, the company has been successfully offering the best to Electroplating, Powder Coating, Automotive, Auto-Components, Galvanizing, Jewellery, Electronics, Electrical, Hallmarking, Research & Development and other industries. 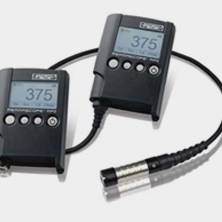 Whether the coating is painted or electroplated, onto magnetic or non-magnetic materials – you will find the right tool for precise, mobile thickness measurement in FISCHER's wide assortment of powerful hand-held instruments. For extra versatility, FISCHER's stationary multi-measurement systems with network capabilities and modular design can perform material analyses in addition to measuring coating thickness. 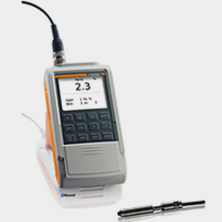 Whatever your measurement application needs, and across a wide variety of substrates: With the appropriate FISCHER instruments and probes, you are perfectly equipped for the task at hand! Painted surfaces are ubiquitous – on buildings, cars, machinery, furniture, etc. 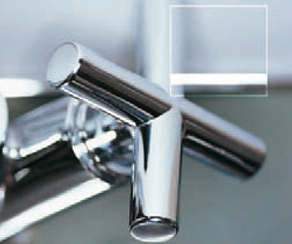 In addition to decorative purposes, they fulfil another crucial function: protecting the structures and materials underneath from damage and corrosion. However, reliable corrosion protection can only be guaranteed if the coating is sufficiently thick to withstand such external influences as moisture (e.g. due to weather) and mechanical wear. 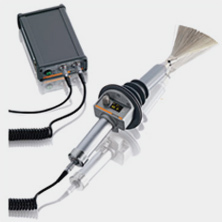 To test such coatings, FISCHER offers a wide array of professional, high-precision measuring instruments. 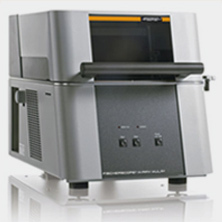 Whether for high-precision coating thickness measurements or exact material analysis, the broad assortment of FISCHER X-ray fluorescence measurement systems has the optimal instrument for any application. In addition to many innovations and patents, the FISCHERSCOPE X-RAY product line integrates more than 30 years of experience and continued development. 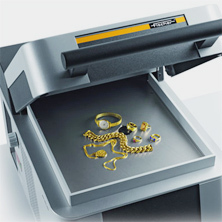 Determining single or multiple coatings on the smallest structures or on large components, trace analysis according to RoHS, testing of jewellery and gold or inline measurements in continuous production – FISCHERSCOPE X-RAY instruments can do it all. In the laboratory as on the factory floor. FAnd the intelligence controlling these instruments is called WinFTM®. It not only makes operation easy, it sets the standard in functional diversity and precision. Material failure can have disastrous consequences. For this reason, materials and workmanship must be tested for safety, reliability and longevity. 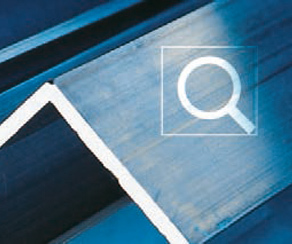 Whether for determining the quality of weld seams in steel constructions or sealants on anodised façade elements, testing tank coatings or aluminium airplane structures for fatigue – FISCHER's proven measurement technology is in demand. 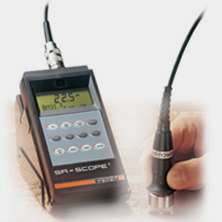 FERITSCOPE® FMP30 - A compact instrument for standards-compliant, nondestructive determination of the ferrite content in austenitic welded products and in duplex steel. Using the magnetic induction method, ferrite content between 0.1 and 80% Fe or in the ferrite number range from 0.1 to 110 FN can be quickly and easily measured in situ. 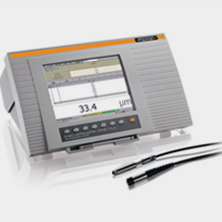 SIGMASCOPE® SMP350 - For measuring the electrical conductivity of non-ferrous metals or non-magnetisable metals such as aluminium, copper and stainless steel according to the eddy current method. Moreover, based on the measured conductivity, conclusions can be drawn about the hardness and strength of heat-treated materials. Heat damage and material fatigue can be determined as well. 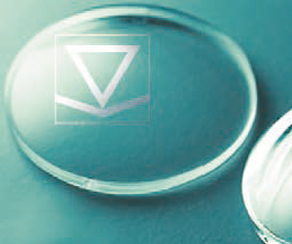 The tough demands of modern surface technology – to characterise very hard, very thin or visco-elastic coatings and materials – require correspondingly powerful measurement methods and systems. 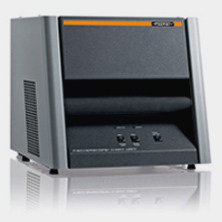 The FISCHER microhardness measuring instruments are capable of making quick, precise and effective measurements where classic methods reach their limits – in the nanometre range. 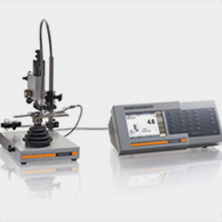 User-friendly and powerful measurement systems for the precise determination of Martens Hardness according to the load/indentation depth method. In addition, other important materials characteristics such as the Vickers Hardness, the elastic modulus of indentation or the creep behavior can be determined. Main areas of application include paint coatings, electroplated coatings, hard material coatings, polymers, metals and coatings on glass.